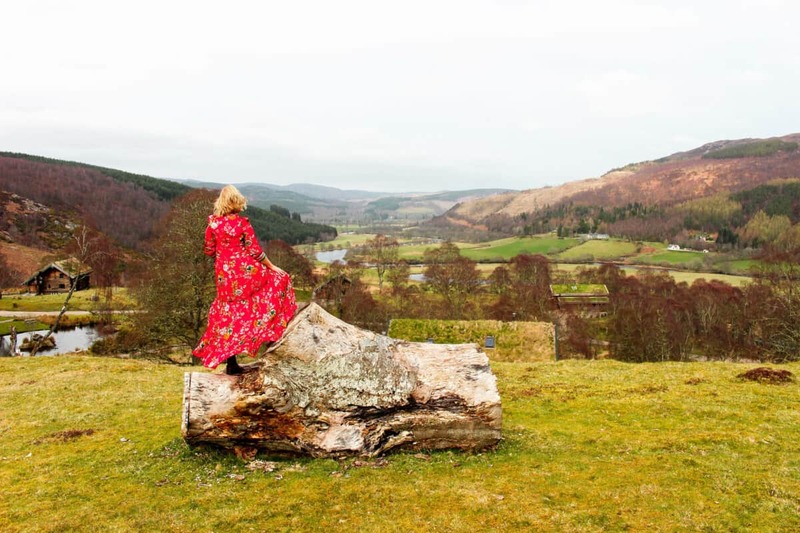 Are you thinking about a trip to The Highlands? Do you want to stay somewhere unique and different set in beautiful countryside? 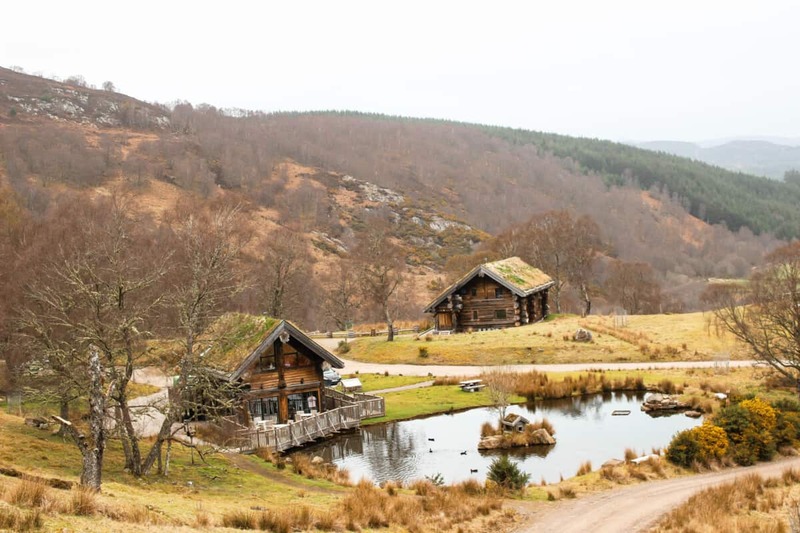 Then Eagle Brae Luxury Log Cabins are for you. 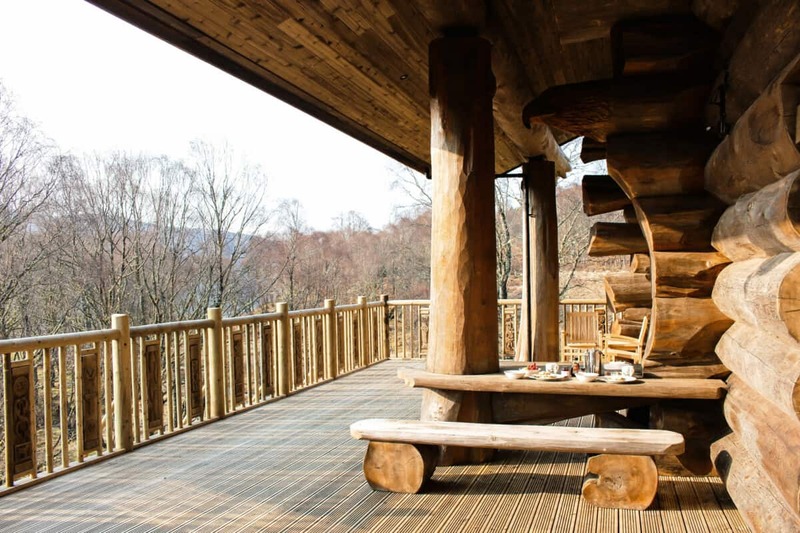 Cabin is too ordinary a word for this luxury 5* accommodation in the Scottish Highlands! They have all the comforts of home set on a Scottish Highland. Just take a look at the views on my photos. The attention to detail and luxury is superb. 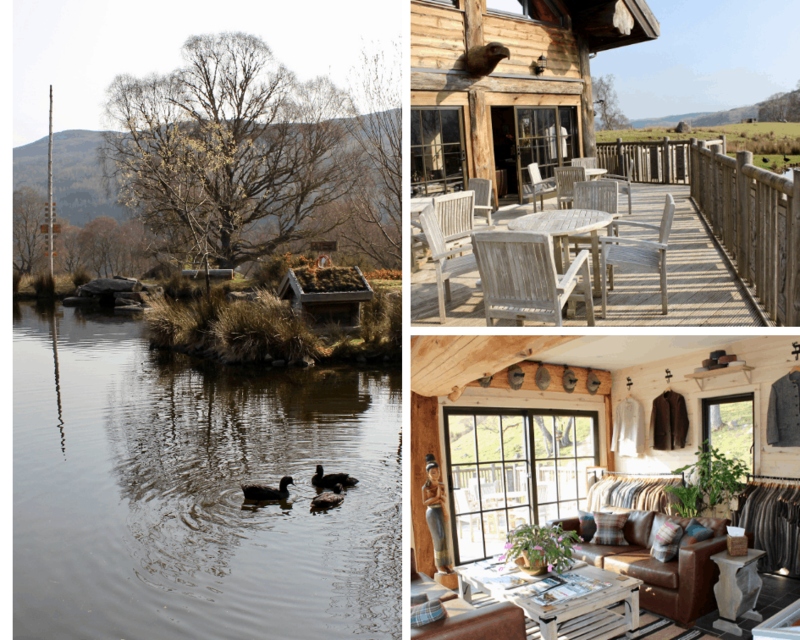 We enjoyed spending time relaxing in this idyllic hideaway and we took the dogs too. 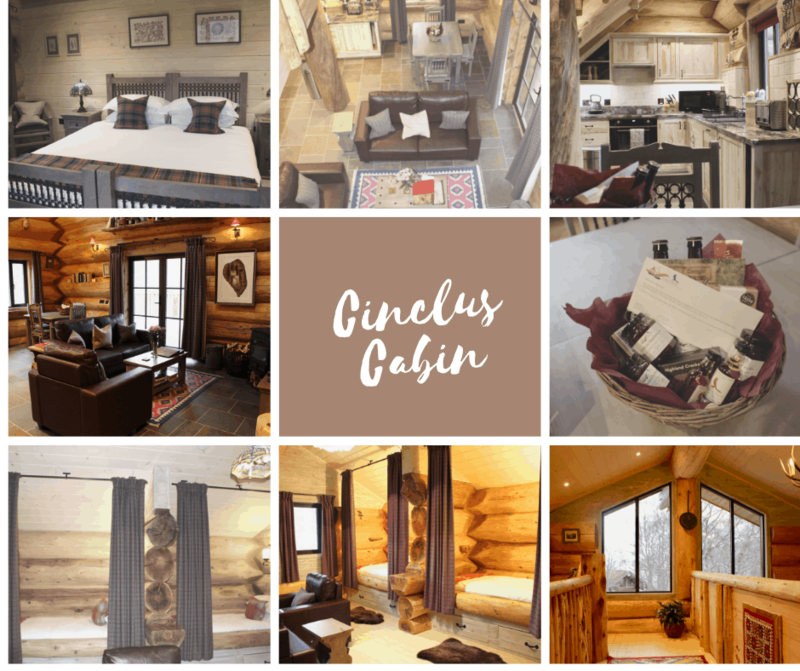 Cinclus Cabin is brand new and has two bedrooms to sleep four. A well equipped kitchen with everything we needed and more, large living area leading onto a big terrace with spectacular views and outside dining table. We loved the welcome basket filled with goodies, including some made by Pawana, which was a lovely treat. 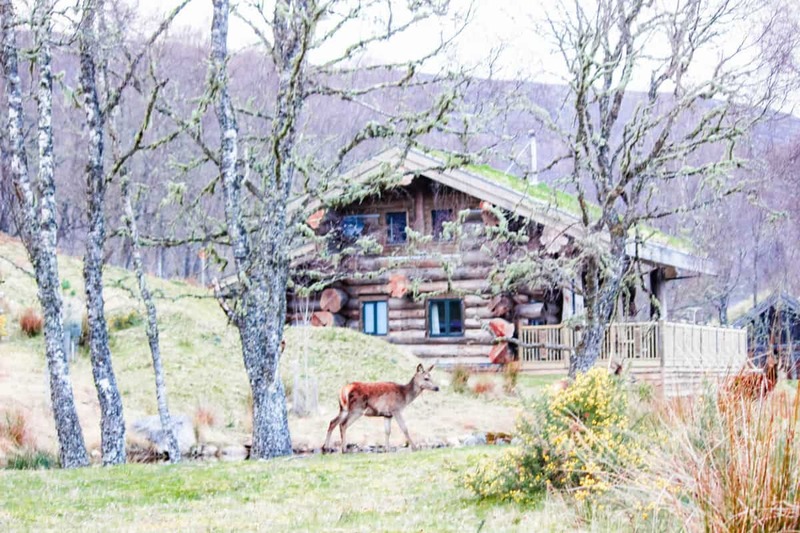 Pawana and Mike are the terrific owners of Eagle Brae, they will make you vey welcome and ensure you have a wonderful stay at Eagle Brae Luxury Log Cabins. 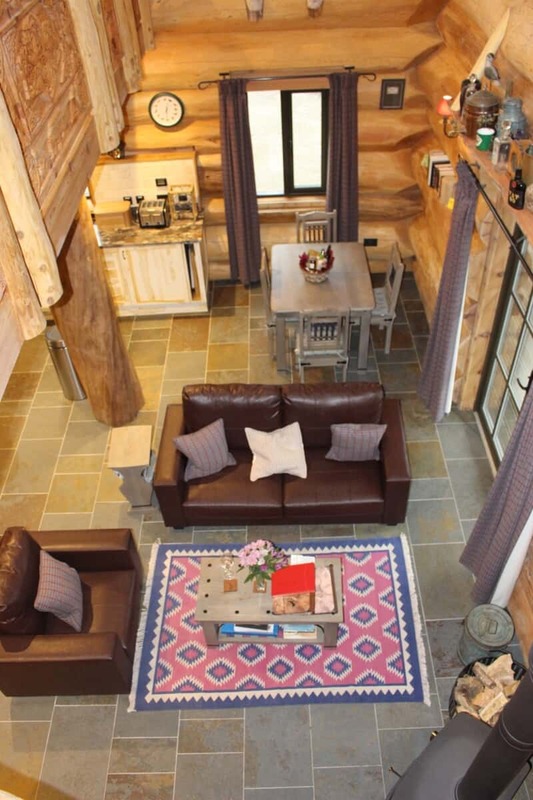 The cabins are very cosy with state of the art underfloor heating (I wish we had this at home!) and a Woodburner with everything you need to light it for warm evenings in front of the fire. I loved the sustainable and eco friendly ethos at Eagle Brae. Even the Cabin roof is Grass insulated which blends seamlessly into the surroundings. Can you see the rug, above? It is hand made in Nepal. The beautiful wooden carvings are also made in Nepal, original homeland of Pawana. The bathroom was very luxurious with our very own Sauna, shower and big bath. Lots of fluffy towels and products so you don’t need to pack any at all. Look out for the Deer wandering around near the Cabins. Such a treat to see! Choose from 10 luxury log cabins of various sizes, ranging from 2 person cabins such as Paris and Sylvia to Aquila and Loxia which sleep 6. 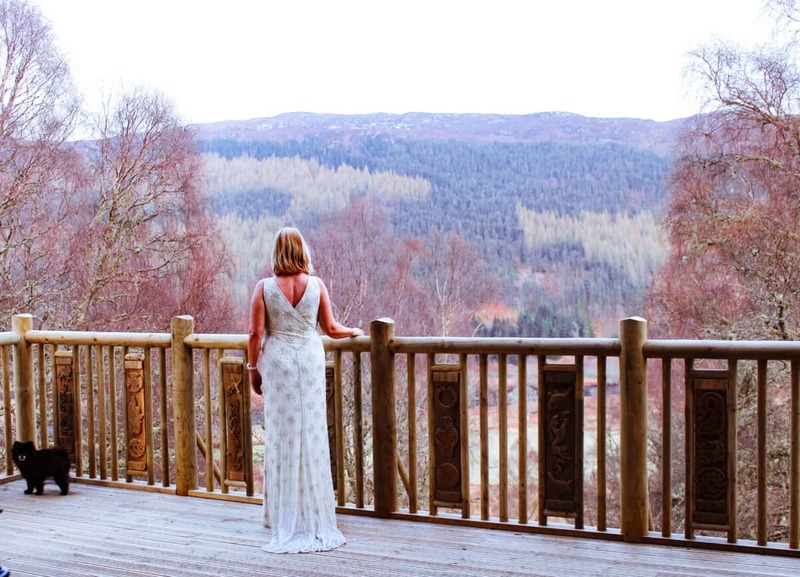 We enjoyed a wonderful nights sleep in Cinclus and woke up to spectacular views over the Scottish Highlands. The 10 cabins are set well apart, privacy is assured as is peace and quiet. I think this is the quietest place I have ever stayed. Just idyllic. We enjoyed lovely Spring weather in early April and ate breakfast outside on the terrace above. This is a sun trap and a super place to relax with a glass of wine in the evening and enjoy the views. Eagle Brae has a lot of wild birds and the only noise you will hear is the birds singing. We enjoyed coming back to relax at Eagle Brae after a day exploring the local area. Our private Sauna at the end of the day was wonderful! 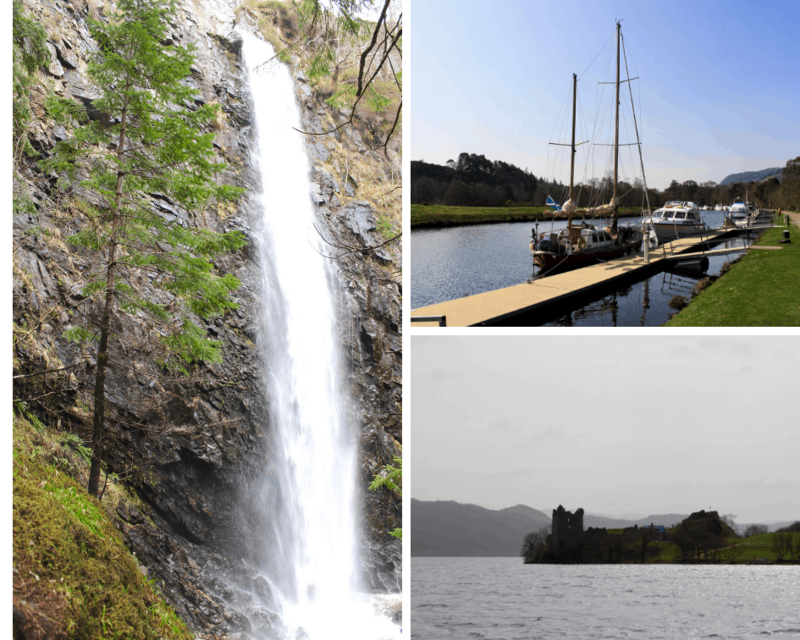 We enjoyed walking in the local area, visiting Plodda Falls, exploring local villages then taking a boat out on Loch Ness and visiting some fairy tale Scottish Castles. Super for a hike, ancient Caledonian woodlands within a nature reserve. About 20 minutes from Eagle Brae and trails for everyone from long hikes to short walks. The drive to Glen Affric is spectacular alongside the river Affric. We chose Plodda Falls for our walk. A spectacular waterfall awaits that is so pretty to see. 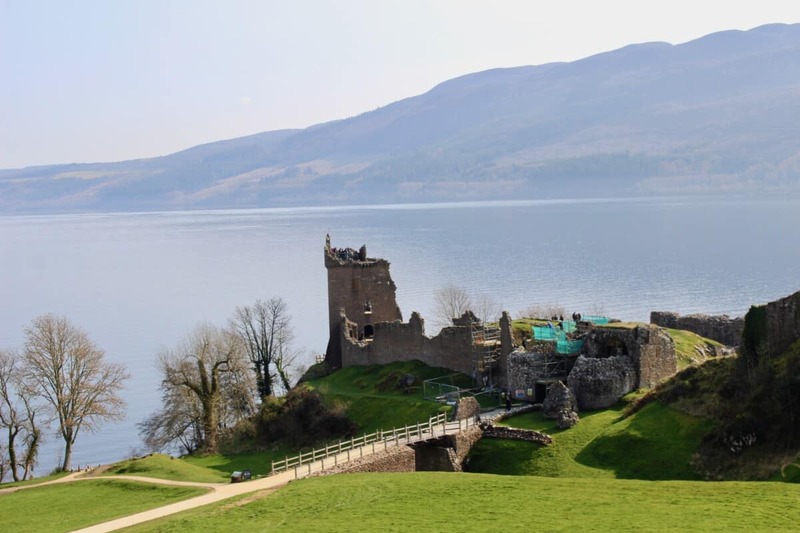 Loch Ness is only about 20 minutes drive from Eagle Brae, so was too good an opportunity to miss! A beautiful Loch, with a palpable mystical quality. We took a small boat which allowed dogs and sailed around the Loch for an hour. We visited early April and the weather was lovely! A good time to visit with not too many people around. Summer will be much busier. Eagle Brae must be magical in the snow during winter too! Do not hesitate to book a stay, all ages will enjoy this special place in the Highlands of Scotland.